Small 4 Style: I Can't Wait for the Marie Claire + Gilt Groupe Event! I Can't Wait for the Marie Claire + Gilt Groupe Event! Marie Claire Magazine and Gilt Groupe invited me to an exclusive event this Monday in Fort Worth! 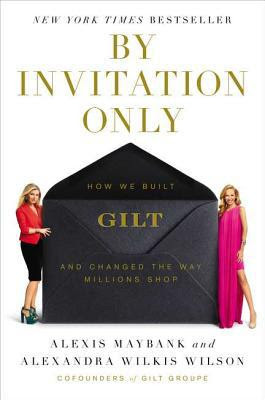 Alexis Maybank, co-founder of Gilt Groupe, will be holding an exclusive Q&A to promote her new book, By Invitation Only. I'm honored to have been invited, and can't wait to tell all you stylistas about it on my blog.